We’ve reached the beginning of the end for Telltale’s critically and commercially successful adventure series, based on Robert Kirkman’s classic comic book and the award-winning television show: The Walking Dead. 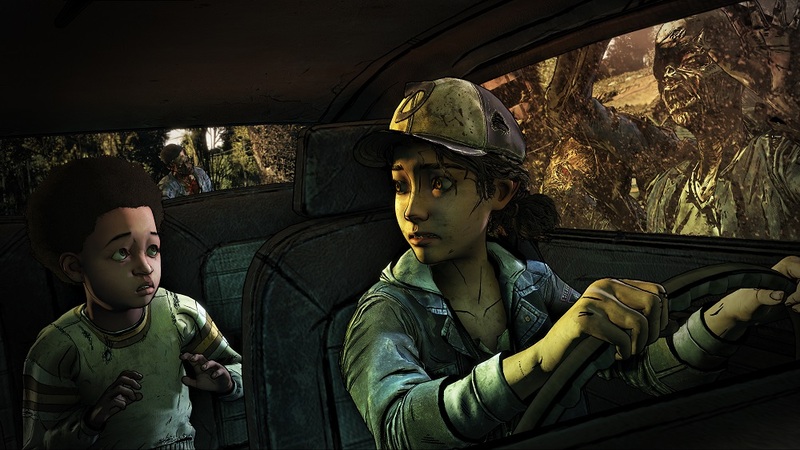 Ever since Telltale’s video game adaptation launched back in 2012, fans have been kept gripped by the story of Clementine, a young girl who is forced to do a hell of a lot of growing up when she is thrust into a nightmarish world of carnivorous walkers, selfish humans, friends, enemies and everyone in-between. Now a young woman, wise and self-sufficient beyond her years, Clementine has reached the end of her story where, alongside AJ – a young boy she rescued during previous seasons – she will finally face her fate. It’s worth noting, first and foremost, that Done Running went longer than any episode of a Telltale Game I’ve played to date, about 30 minutes longer, so it seems that although there are less episodes this season, the overall story should run at the regularly-expected length. The Final Season showcases a new engine with pride, and while there is a definite improvement in graphical fidelity, character models and particularly lighting, movement still bears somewhat awkward animation. There are also some smoke and mirrors going on here. Although The Final Season boasts a new behind-the-shoulder camera and an overhauled combat system, the gameplay remains as linear as previous Telltale’s storytelling titles. The new combat is little more than “Approach Walker. Activate QTE” and the new camera still only allows basic control within the small confines of a scene. Done Running does look better than its predecessors, but it really is just a new coat of paint over the same old Telltale gameplay. The Walking Dead’s fans are, understandably, mainly here for the character drama. The first episode is quite honestly a bit of a slow-burner. It’s mostly character introductions and world-building, as Clem and AJ find themselves part of a community of kids and teenagers, who have carved themselves out a small piece of security from the hellish, Walker-filled landscape. The characters, and their performances, are a little hit-and-miss, and there are some by-the-numbers tropes in full effect. However, it is a quite diverse cast, with some neat and welcome representation. Also, camp-leader Marlon has the best mullet. The focus here, rightly, is on Clementine and AJ, and the former is fantastic. As always, Clem is a resourceful and strong character, remaining both emotionally vulnerable and relatable. Clem is a magnetic lead and it’s almost impossible, as the player, not to stand firmly in her corner. AJ is a little more sporadic, due to his inquisitive childish nature and the fact he is still learning about his crazy world, which makes his character a little harder warm to. Over this season, your choices will influence his outlook on the world, and the person he will become. Done Running is mostly a matter of getting to know the new cast of characters we are about to spend several hours with, getting clued up on their thoughts, attitudes, talents and backstories. Most of the action is pretty poor, but things ramp up hard for a great, genuinely shocking finale. It is already apparent that The Walking Dead: The Final Season will just be more of the same, but that’s hardly likely to disappoint anyone who has gotten four whole seasons into this adventure. 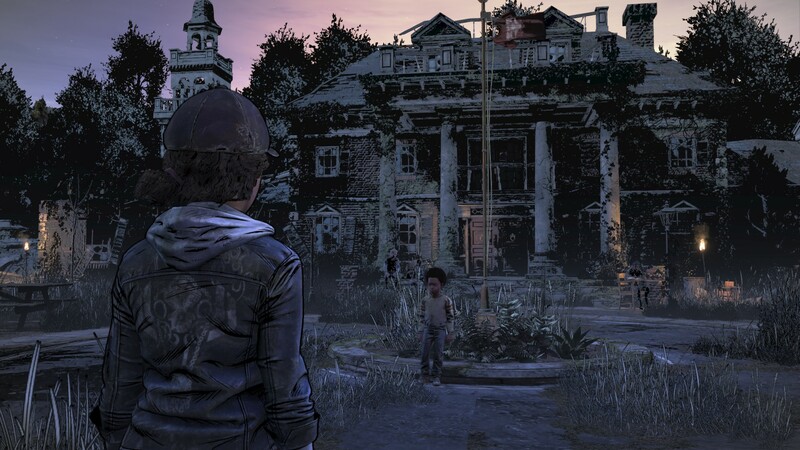 I’m intrigued to see where the story goes from here, as well as what final fate lies in store for Clementine and AJ. But now the season’s setup has been established, it’s time to get down to the business of stressful character drama, humourous conversational retorts, and that all-too-nagging feeling that, ultimately, you have minimal control over everything anyway.